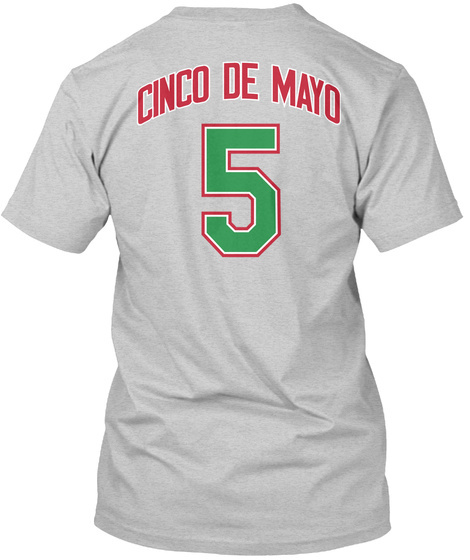 Celebrate Cinco de Mayo with our Spanish-language shirt. 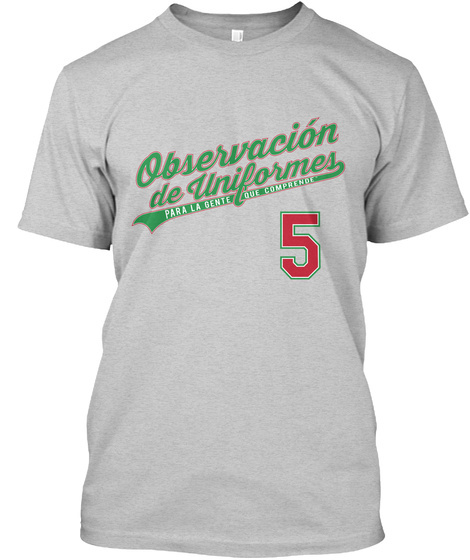 It says, "Observación de Uniformes" (Uni Watch) and "Para La Gente Que Comprehende" (For People Who Get It). "Cinco de Mayo" and No. 5 printed on the back. Available in many colors.